Unfortunately, asbestos turned out to be toxic and there were serious long-term consequences to the short-term benefits it provided. Many are still paying the price today. 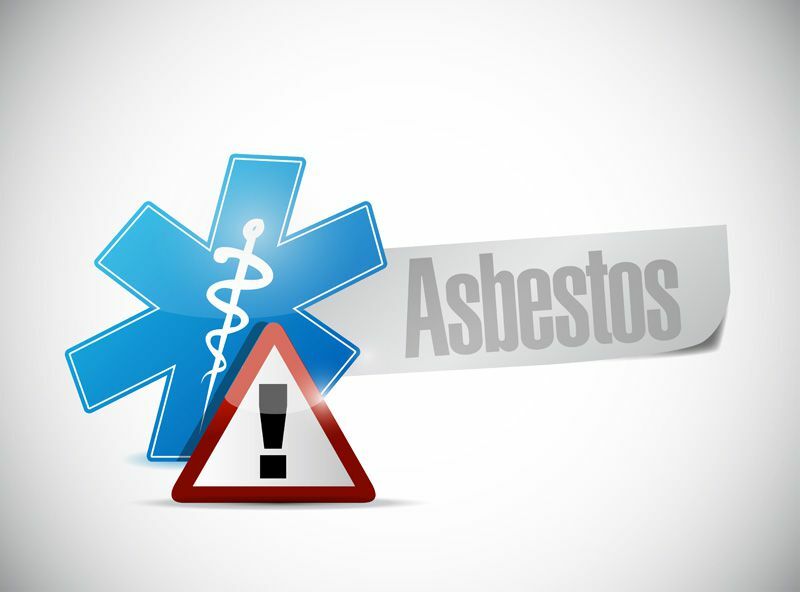 Although the Navy was the most prodigious user of asbestos products, the Army, Air Force, Marines and Coast Guard all used them extensively, leading to the disproportionate amount of military veterans hit with asbestos-related diseases. Veterans account for an estimated 30 percent of all cases of mesothelioma, which is caused almost exclusively by asbestos exposure. Although asbestos was once lauded for its versatility, affordability and heat resistance, it eventually becomes dangerous. As it ages, the fibers became airborne and become a threat to the people they were supposed to protect. If the fibers are unknowingly inhaled or ingested, they can become lodged in the thin membrane surrounding the lungs or abdomen and cause scarring. The scarring eventually can lead to serious health issues, including mesothelioma, asbestosis or lung cancer. Mesothelioma, in particular, usually has a poor cancer diagnosis. Although the U.S. military stopped using asbestos products in the mid-1970s, those ships, submarines, trucks, tanks, airplanes, weapons and barracks were still being used in the ‘80s and ‘90s, explaining why veterans today are being diagnosed with asbestos-related diseases. The latency period between exposure to asbestos and diagnosis of mesothelioma cancer can be anywhere from 20-50 years. The Navy has been the hardest hit, which is no surprise. Until the U.S. Environmental Protection Agency (EPA) regulated the use of asbestos in the mid-70s, ship builders used it everywhere. There was asbestos in the boiler rooms, engine rooms, weapons and ammunition storage rooms, and other places that needed heat resistance. Anyone who worked there was exposed. Asbestos covered ships from bow to stern. Submarines were loaded with it. Sleeping quarters, mess halls and navigation rooms had it. Anyone who worked with the pumps, pipes, motors, condensers and compressors on ships and subs became vulnerable. Gaskets, valves and cables all had it. It was on the floors and in the walls. Sailors aboard ships often slept on bunks below asbestos-covered pipes, waking up covered with asbestos dust. Marines often were transported on those same ships. Those in the Navy who helped repair or renovate a ship often breathed in the asbestos fibers. As the ships aged, the asbestos parts turned brittle and the fibers broke down and became airborne. Those working below deck were the most vulnerable. The boiler tenders, ship fitters, welders and engine mechanics were at highest risk. It was much the same in the other branches of service. The U.S. Air Force had aircraft mechanics and pilots at risk. The U.S. Army had vehicle mechanics, infantrymen and artillerymen at risk. In branches of service, they were exposed where they worked and in the barracks where they slept. Veterans who left the military and took jobs as miners, shipyard workers, insulators and construction workers continued being exposed. Although the dangers of asbestos were known for more than 100 years, it wasn’t until public outcry and EPA regulations that the military cut back its use. The short-term benefit was no longer worth the long-term danger it presented.